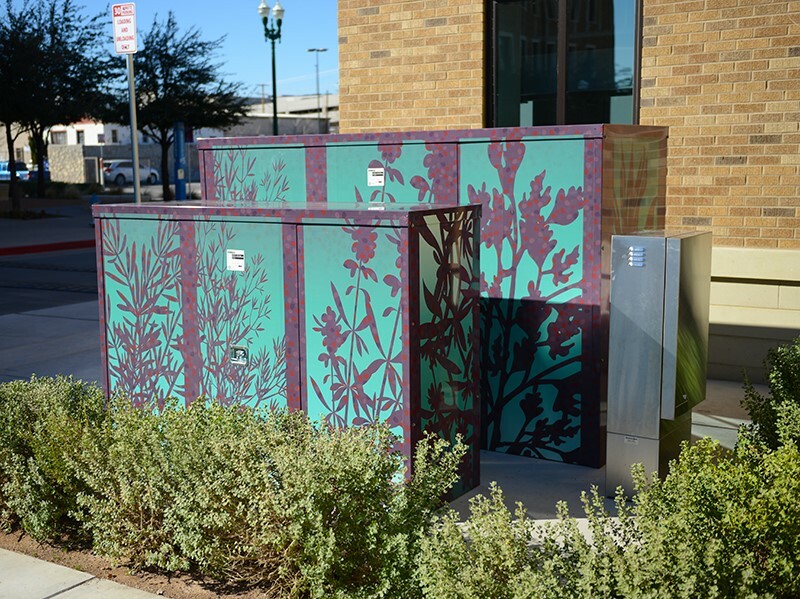 Have you noticed the new artwork appearing around campus last week covering various utility boxes? 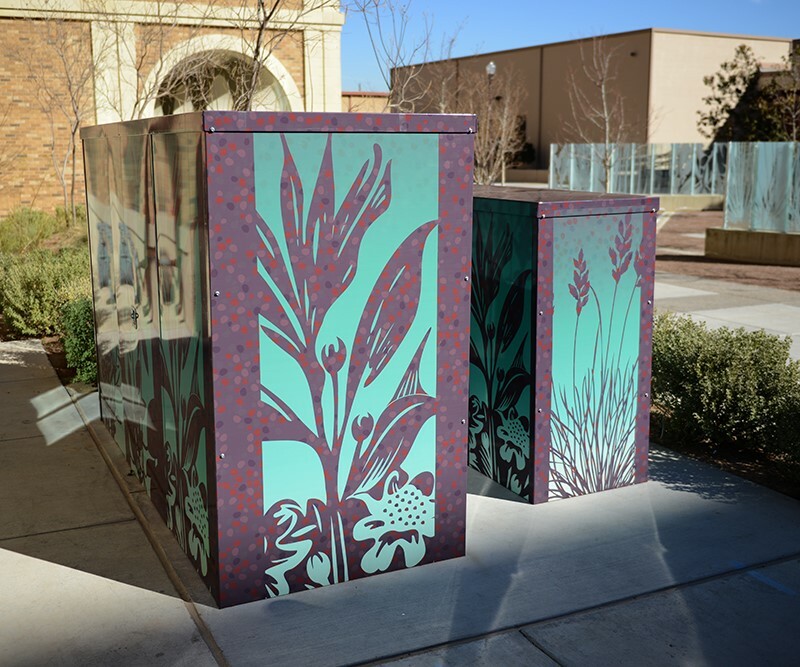 Warren Love, graphic artist for institutional advancement, designed the artwork now appearing on what was once, giant steel boxes. 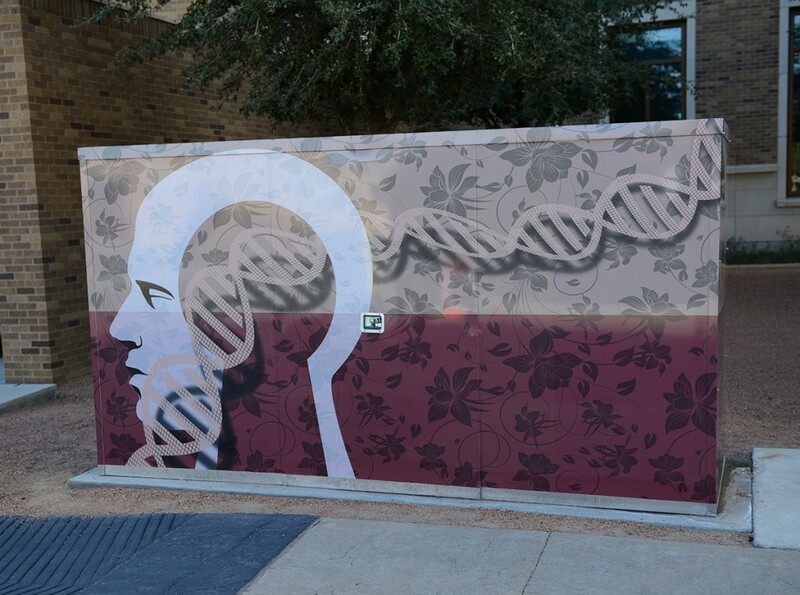 You might not have noticed the artwork though, as the design blends seamlessly with the natural landscape and other pieces of campus artwork such as the Helix Garden. Look for more boxes to be covered in the coming weeks.